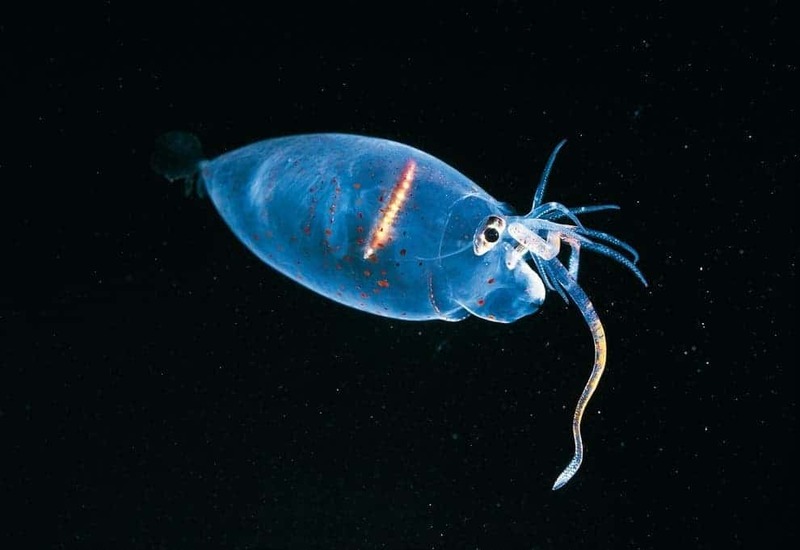 The piglet squid measures only a few centimeters across, and it’s one of the cutest animals out there! It can be found in virtually all oceans in the deep water, over 100 meters deep. 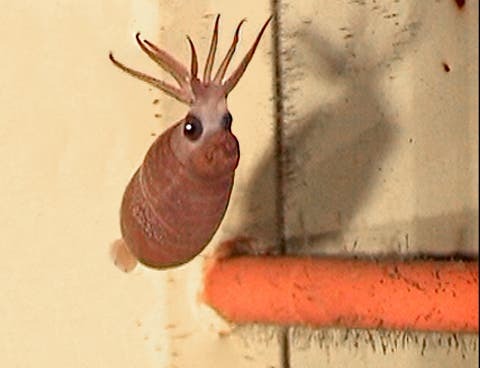 Due to its tiny size and deep water habitat, the piglet squid is actually not that well studied and understood. They are known to be sluggish swimmers, mostly because they often fill up with water, which is then released through the funny looking siphone you see above. 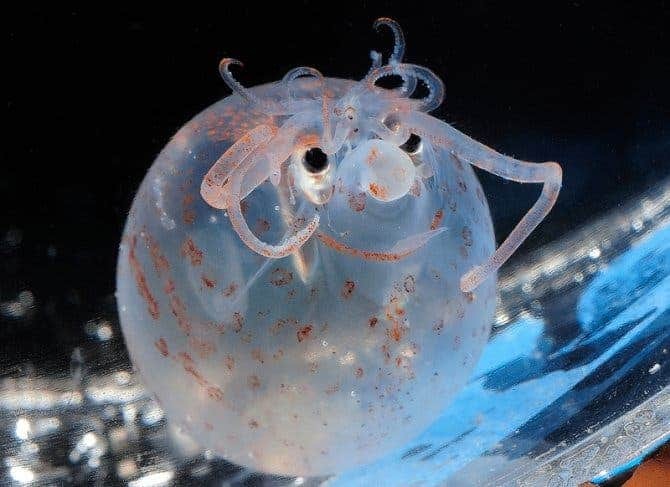 Indeed, it does look like a piglet squid. It maintains itself buoyant with ammonium ions in its body fluid. It also has a large light producing organ (photophore) is located beneath each of its large eyes. The body is almost entirely clear, and if you look at it, you can barely see the semi-transparent internal organs, which provide a smile-like look. 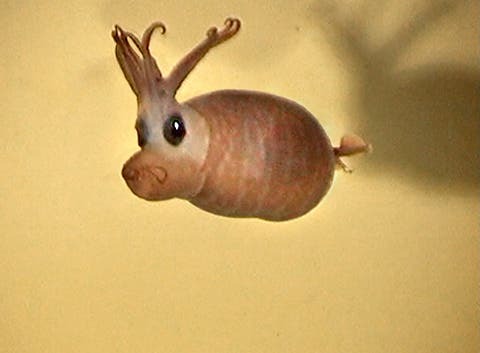 Interestingly enough, the piglet squid has most often been observed from submersibles with its head upside down. However, it is entirely unclear why they do this. Actually, now that I’ve seen it like a piglet in the upside down position, it’s hard for me to see it the other way.